Region: There are many species of this beetle throughout North America. Life cycle: This beetle produces several generations each year. The insect may overwinter as a larva, pupa, or adult. Physical Description: With there long, dark, flat bodies, this beetle resemble an earwig. 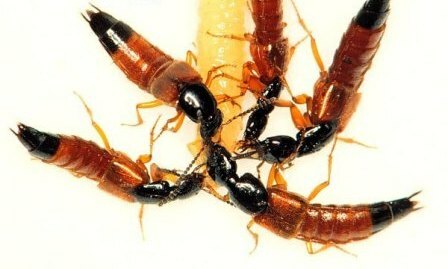 They are 1/8 to 1/2 inch long, slender, straight bodied with clubbed antennae, and curved mouthparts. They are brown or black and often shiny, and are winged or wingless with shortened elytra. Feeding characteristics: Feeding habits vary with species. Most commonly, species are scavengers, but some are parasitic in the larval stage. Some are predators and a few have a combination of all these feeding habits.